We all know that exercise is beneficial for our health, but many of us don’t really enjoy working up a sweat, while others simply can’t. However, recent evidence suggests there may be a surprising solution: Tai Chi. Watch the BBCs "Trust Me I'm a Doctor" for a very surprising result! 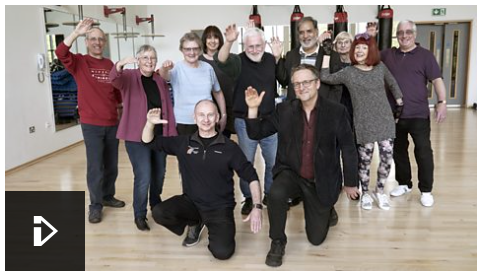 Today Tai Chi is more often practised for health than for self defence, thanks to the fact that it is basically a very enjoyable, relaxing exercise that is also very social. 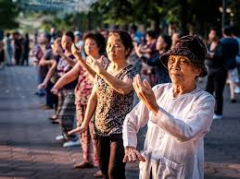 Taijiquan (tie-jee-chuan), commonly known as Tai Chi, originated in China as a sophisticated martial art and is now generally taught as a low-impact, health-promoting exercise. Tai Chi and its sister art Qigong (chee-gong) is practised for health by many millions of people throughout the world. It is an art form that has been proven to work at many levels, using slow, smooth and continuous movement to improve body, mind and spirit. Health-specific Tai Chi and Qigong can be easy to learn, generally beginning to be effective as soon as you start practising. These are exercises that can be started safely when you are older, with no restriction on improvement as you age, offering true health capital growth. 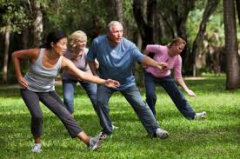 Tai Chi improves muscle strength, coordination and flexibility, helping to reduce risk of falls, especially in elderly people. Please refer to the menu on the the sidebar and top of page of condition-specific news and articles.